On behalf of the Board of Directors of the Macha-Tulama Cooperative and Development Association (MTA) USA, I extend warm greetings and heart-felt thanks to all of you for attending this benefit concert to raise funds and to support Oromo victims of Tigrayan state terrorism and other forms of violence. The dispossessed, impoverished, terrorized, and repressed Oromo people only have us, the Oromo Diaspora, who have the right to work, to express, and to organize ourselves freely, to stand with and support them during these times of darkness and horror. The Oromo people are being criminalized and terrorized for peacefully demonstrating to maintain their rights to their indigenous land, to freely express themselves, and to have freedom of organization in order to determine their political destiny as a nation. Brothers and sisters, in the 21st century, our people are being beaten, tortured, hunted, and massacred by the Tigrayan army, police, militia, and security networks that have been financed by global powers and international institutions. Currently, the Oromo people are rewriting their glorious history by their suffering and their blood. They are paying heavy sacrifices to liberate themselves and their country from the yoke of Tigrayan colonialism and its domestic and global supporters. Our people have gradually realized the barbarism of Tigrayan colonial state elites, and the actions of their Oromo servants and their global masters. They are continuously crying and sending their revolutionary messages to us to request us to support them by all means. Today you are here accepting and honoring their call, and you deserve the honor, recognition, and respect of the leadership and members of the MTA. Taking this opportunity, I would like to briefly introduce to you or remind you of the enduring visions of the MTA that all Oromo who are concerned about their people and struggle must recognize. In this brief overview of enduring visions of the MTA, I will answer the following questions: (1) What were the four grand visions of the MTA? (2) How are our people translating these visions into action in Oromia? (3) Are we positively responding to the cries and messages of our people? (4) What are our historical, national and moral responsibilities in the Diaspora when our people are facing state terrorism and genocide from the Tigrayan-led Ethiopian state? (5) What should we do to strengthen our institutional and organizational muscles to support our Qubee generation in particular and the Oromo people in general? (6) What roles can the MTA USA play in these times of horror and darkness today and in the future? The prophetic leaders and members of the MTA developed four visions to overcome the barbarism of Ethiopian colonialism and its ignorance, misery, and poverty. The first vision was to organize and unite the Oromo people, which were divided by the Ethiopian colonial state based on the criteria of religion, descent groups, colonial regions, and division of labor. The restoration of Oromo peoplehood and unity was necessary to overcome the inferiority complex and self-hatred that developed as a result of Ethiopian colonialism. The colonial strategies of divide and conquer had been continuing and working, but in November 2015, Oromo youth of the Qubee generation ignited their first revolutionary flame at Ginchi, near Ambo. It spread like wild fire all over Oromia through social media and other networks that we do not yet know of. This historical event marked the first rebirth of our glorious gadaa tradition and the restoration of our patriotism and bravery to fight against oppression. The second vision was developing basic Oromummaa (Oromoness) and national Oromummaa (national culture, identity and ideology) based on the Oromo democratic tradition. The efforts to develop Afaan Oromoo and Oromo history and the use of the odaa tree (sycamore) as the symbol of the MTA demonstrates this reality. The leaders and members of this association recognized that without rebuilding basic Oromummaa, and by extension national Oromummaa, the reorganization and reunification of the Oromo people were impossible. While Ethiopian colonialists tried to bury Oromo identity and Oromummaa, the MTA struggled to resurrect them. The developing of national Oromumma as the nationalist ideology was absolutely necessary. This nationalism became the basis of the revolutionary Oromo flame and would eventually ignite across Oromia, although it would take decades to reach its current level. The current peaceful Oromo protests all over Oromia and beyond indicate the maturation of national Oromummaa, which must be translated into strong civic institutions and political and military organizations that can defend the Oromo nation from internal and external enemies. The third vision was intended to enable the Oromo people to release their cultural and basic capabilities to solve their social, economic, cultural and political problems by rebuilding their independent institutions and organization. The leaders of the MTA realized that the complex problems the Oromo faced could not be solved without reorganizing and reuniting the Oromo nation. There are Oromo individuals who criticize the name of this association for taking the names of the two branches of the Oromo, Tulama and Macha, without knowing why the two names were given to the association. The prophetic leaders named the association by Macha-Tulama because the Haile Selassie government prevented them from calling it by the Oromo national name. By rejecting the names that were given to the Oromo people by the colonialists, the leaders of the association initiated the processes of national self-definition. All social changes and revolutions begin by self-definition and self-discovery. The process of self-definition was an initial revolutionary step in the early 1960s for psychological liberation, Oromo unity, and self-determination. During the era of African nationalism, the leaders of the MTA struggled to inculcate the revolutionary flame amongst the population. 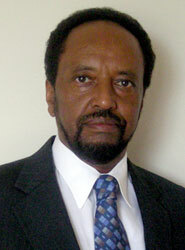 Furthermore, in order to dismantle the historical and cultural ignorance that was imposed on the Oromo by the Ethiopian colonial state, the MTA tried its best to educate and sharpen Oromo minds by developing the knowledge for liberation, which challenged the false of knowledge of Ethiopian colonialism and global imperialism. The fourth vision was to rebuild Oromo national power on the grave of the Ethiopian colonial state. This vision was not well articulated because of two main reasons. First, the Oromo people were not ready politically because of their low political consciousness at that period. Second, they did not have many educated people because education was intentionally denied to the Oromo people. This fourth vision was further developed by the Oromo Liberation Front that emerged in the early 1970s because of the banning of the MTA by the Haile Selassie government in order to enable the Oromo to determine their national destiny as a free people. Currently, Oromo students, farmers, teachers and other sectors of Oromo society are translating all of these visions into political action. The Oromo revolutionary flame that is galvanizing the entire Oromo nation is dismantling all external and internal reactionary forces that are against Oromo democracy. The restoration of Oromo democratic tradition is becoming the corner stone of Oromo national power. As the first and major Oromo civic institution, the MTA is the history, the body and the foundation of the Oromo movement for statehood, sovereignty, and sustainable development. Realizing that without heavy sacrifices the Oromo cannot solve their national problems, in 2015 and 2016 the Oromo people decided to die while fighting rather than live under Ethiopian political slavery, ignorance, and poverty. We, the Oromo Diaspora, have moral, historical, and national obligations to support our people who are sacrificing their lives to liberate themselves and us from Ethiopian colonial barbarism. Our revolution needs ideological and political clarity to avoid past mistakes. Oromo activist intellectuals have emerged that have experimented with the so-called socialist and democratic projects that promoted neo-colonialism, exploitation and gross human rights violations. After these projects failed in the Ethiopian Empire and after the Oromo rejected these unjust systems, Oromo elites started to give lip service to the gadaa system. The Oromo national movement will face more dangerous obstacles from internal and external reactionary forces in the near future. Oromo nationalists are going to be exposed to more state terrorism and gross human rights violations. Before our victory will be achieved, millions of Oromo may be imprisoned, killed and displaced. We need to be ready for these challenges by better organizing ourselves. Without strong civic institutions and political organizations, we cannot defend our people from Tigrayan state terrorism, which is financed and supported by global powers. Only people who are effectively organized can develop their strategies based on liberation knowledge and take appropriate actions in order to survive and thrive. I extend my invitation and the invitation of our suffering people to you to join the MTA in order to help the Oromo victims Tigrayan fascism. Brother and sisters, how can we keep quiet when our children, students, pregnant women, and elderly and sick are being humiliated, beaten, massacred, imprisoned, and tortured for peacefully demonstrating to demand their human rights? How can we enjoy our lives when the corpses of our heroes and heroines are kicked around by Tigrayan soldiers or thrown into caves? How can we be quiet when our entire nation is suffering from genocide? During these times of horror and suffering, our commitment, patriotism, humanity, and courage must be manifested by financially, morally and diplomatically supporting our revolutionary people. All of us must be members of this pioneering and great institution of the MTA to support the mission of helping Oromo victims of Ethiopian terrorism, and to also support the mission of building our future and a free nation. When our heroines and heroes give their lives for freedom, how can we hesitate to join the MTA, the civic institution for which Haile Mariam Gamada, Mamo Mazamir, Taddasa Biru, and others lost their lives? People who are not organized and united cannot survive the onslaught of modern civilization that preaches human rights and democracy while engaging in state terrorism and genocide. Whether we are followers of Waqqeffata, Islam, and Christianity or non-religious, we must recover our moral and ethical values and humanity to take immediate and practical actions to stand with our revolutionary people who are restoring our pride, humanity and unit. Finally, on behalf of the Board Directors of MTA USA, I would like to express my deep appreciation to the fundraising committee, namely, Abarraa Tafarraa, Berhane Kebede, Abdi Nuressa, Bontu Itana, Wondaye Deressa, Dula Gudina, Bontu Tolera, Dagim Tessema, Kiya Segnii, Merertu Kitila, Bilise Gutema, Qumbi Boro, Janet Adem, andGechoo Negash, for organizing this benefit concert, and for our artists, namely, Hacaalu Hundess, Jambo Jote, Abdi Nuressa, Tuuji Muude and Dawite Mekonnen, who are providing their talents, energy and time to support their brothers and sisters. We must pay our respect to these and other Oromo nationalist artists. We must recognize how our music and culture also play a role in developing Oromummaa and pushing the Oromo national movement forward.